Below are items of interest from the 2019-20 State Budget. The final budget makes the state property tax cap permanent, limiting the annual growth of local property taxes to two percent or the rate of inflation, whichever is lower. This cap, which was set to expire at the end of next year, was implemented in 2012 and has saved taxpayers nearly $25 billion. Making it permanent will provide taxpayers with predictable tax bills from year to year. The budget also continues the phase-in of middle class tax cuts. For income between $43,000 and $161,550, the new rate will be 6.21%; for income between $161,550 and $323,200, the rate will now be 6.49%. When these cuts are fully phased-in in 2025, the rates will be 5.5% and 6%, respectively. Funding for Broome County public schools was increased by $6.4 million over last year’s funding levels, for a total of $328.4 million. The final budget also rejected the Governor’s proposal to require certain districts to distribute a percentage of their Foundation Aid increase to specific schools and instead requires those districts to report to the commissioner of education on how they are prioritizing underfunded high-need schools. We were also able to provide some relief for SUNY Broome and other community colleges by including language that ensures they are not receiving drastic cuts to their funding if enrollment falls. Historically, when the economy is performing better enrollment at community colleges goes down; because funding is based on enrollment numbers, this often results in bigger cuts. The budget includes a funding “floor” for community colleges so they are guaranteed at least 98% of their funding level from last year. Aid for these schools was also increased by $100 per full time equivalent (FTE) student, so the colleges can opt to take that funding level or the 98% “floor,” whichever is higher. As Chair of the Assembly Agriculture Committee, I was one of the lead negotiators for the ag component of the budget. Funding critical research and programs that help continue the growth of our farming industry was a top priority. We were faced with potentially devastating cuts to a number of programs, but in the end were able to restore almost all of the funding to these programs. 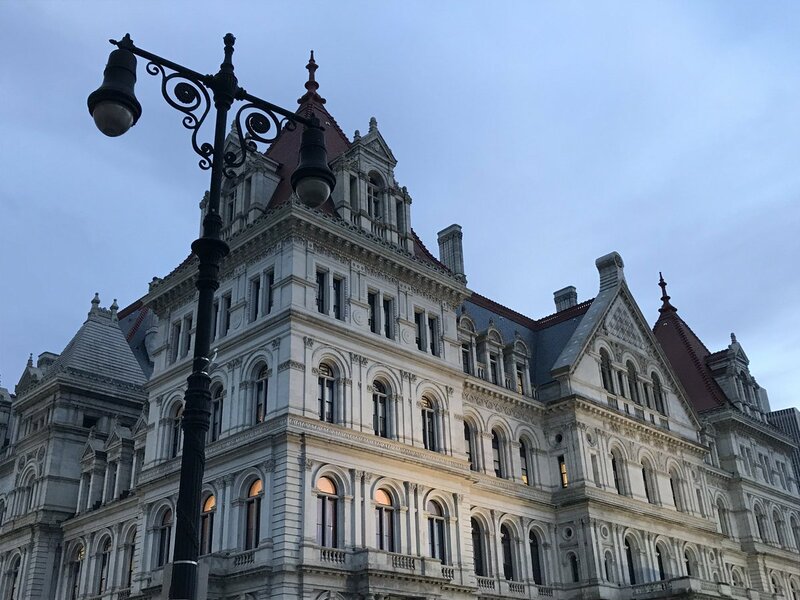 The Assembly proposal helped safeguard these resources and included $18 million for Farmland Protection and $400,000 for Farmland for a New Generation which helps keep land for agricultural use. We were able to maintain millions more for important research programs, and fully funded a number of industries so they can continue promoting and marketing their products, such as the Maple Producers’ Association which we were actually able to increase funding for. Additionally, we continued funding for the successful Farm to School program and also increased the state’s contribution for free and reduced school lunches by $0.25 per meal which will eliminate the student contribution. Budget bills are taken up for a vote on the Assembly floor. The state’s Environmental Protection Fund (EPF) was funded at $300 million – a record investment for this program. $500 million was also included for clean water infrastructure; this program helps address water contamination, replace old service lines, and implement new water protection programs. $23 million in tax credits were also made available to encourage the use of clean and alternative energy. Most notably, the budget included language to ban single-use plastic bags at grocery stores and other retailers. These bags are currently littering our neighborhoods, forests, and waterways and have a tremendous impact on climate change. Counties will also have the option of implementing a fee on paper bags, the revenue from which will be contributed in part to the EPF and also to help distribute reusable bags in the community. Low-income residents will be exempt from any county-established fee on paper bags and this ban will help significantly cut down on plastic waste in our communities and landfills. As the former Chair of the Assembly Aging Committee, I continue to advocate for programs and services that promote healthy aging in our community. The budget includes $15 million to increase funding for the Expanded In-home Services for the Elderly Program which offers non-medical in-home services such as personal care and housekeeping. Language was also included to allow counties the option of implementing private pay protocols for individuals above 400% of the federal poverty level for Office for the Aging programs and services. This will help cut down on wait lists for these services and also generate new revenue for counties. The plan includes a cap on the rates counties can charge individuals for services and offers protections to ensure lower income seniors remain the highest priority for services. I held several hearings on these topics last year and was very pleased to see them addressed.